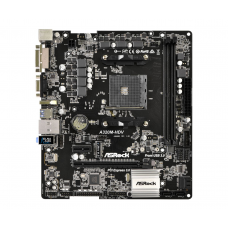 We stock a large list of motherboards from the leading motherboard manufactures. A motherboard acts as the central hub and main conduit of smaller satellite components; namely, the rest of your system builds. Each motherboard includes a specific type of CPU socket-one that corresponds to the CPU chipset that the motherboard supports. It is vital that you check the socket type of a motherboard prior to purchase. Most will be designed to work with processors from the two biggest manufacturers in the industry: Intel and AMD. 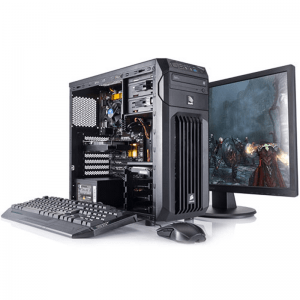 By ensuring that you buy a motherboard and a CPU with the matching socket type, your combination should be compatible and allow your system to run smoothly. cougar extreme Chipset:Intel H310 Express CPU Interface:Socket 1151 RAM Technology:DDR4 (Dual Cha.. Product Overview Front USB 3.0 Besides two rear USB 3.0 ports, there’s also an additio..
cougar extreme Unique Feature ASRock Super Alloy - Sapphire Black PCB ..
Cougar Extreme Product Description Asus M5A78L-M LX3, AMD 760G, AM3+, Micro ATX, 2 DDR3, RAI..
Cougar Extreme A320M-HDV CPU - Supports AMD Socket AM4 A-Series APUs (Bristol Ridge) a..
Cougar Extreme Product Description Asrock Z390 PRO4, Intel Z390, 1151, ATX, 4 DDR4, CrossFir..
Cougar Extreme Product Description Asus PRIME Z370-P II, Intel Z370, 1151, ATX, DDR4, CrossF..
Cougar Extreme Product Description Asrock B450M PRO4, AMD B450, AM4, Micro ATX, 4 DDR4, XFir..
Cougar Extreme Product Description Asus TUF Z390-PLUS GAMING, Intel Z390, 1151, ATX, XFire, ..
Cougar Extreme Product Description Asus TUF B450-PLUS GAMING, AMD B450, AM4, ATX, 4 DDR4, XF..
Cougar Extreme Product Description Asus ROG MAXIMUS XI APEX, Intel Z390, 1151, ATX DDR4, XFi..